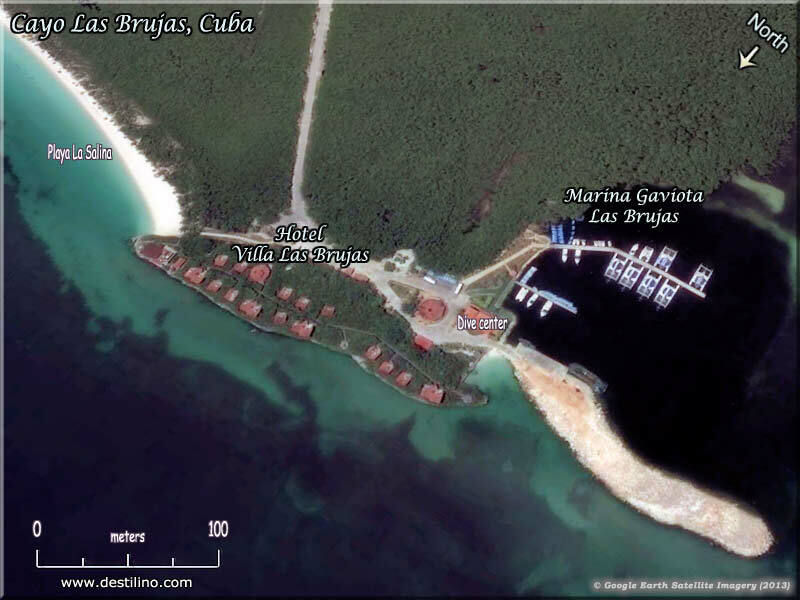 The Marina Gaviota Las Brujas is located on the small island nammed Cayo Las Brujas (Witches Island). It's for now the only marina in the resort destination "Cayos de Villa Clara" (which includes Cayo Santa Maria, Cayo Ensenachos, and Cayo Las Brujas), so every nautical excursions depart from this marina. This is also where the Dive Center is located, and the Fishing Base. Note that this is a "charter" marina, not an international marina, visiting boats are not allowed. it's a modern marina (built in 2002) with all the facilities: a 48-meter dock, catamarans, fishing boats, dive boats, dive shop, speed boats, kayaks, snack bar, etc. Click to see the Brochure provided by Gaviota (pdf). For detailed information about the nautical excursions, such as: Catamaran cruise, diving, fishing, etc. ), please visit the Tours & Excursions section. Click to view our Gallery of the Marina.